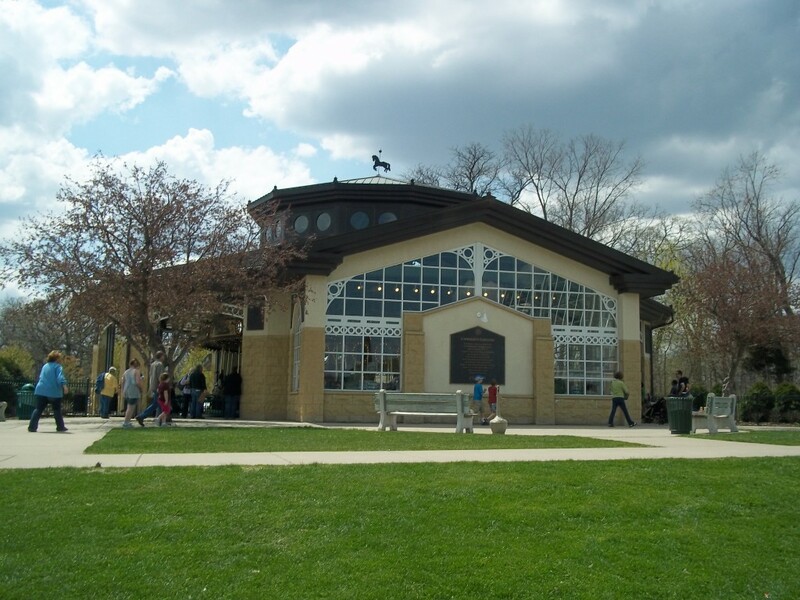 One of the more storied and interesting attractions of the Como Zoo & Conservatory in St Paul, MN, is Cafesjian’s Carousel. Located just south of the McNeeley Conservatory, this whimsical, old-timey merry-go-round has been delighting youngsters for generations, although at one point it was on the auction block ready to be shipped away in pieces, never to be seen again. 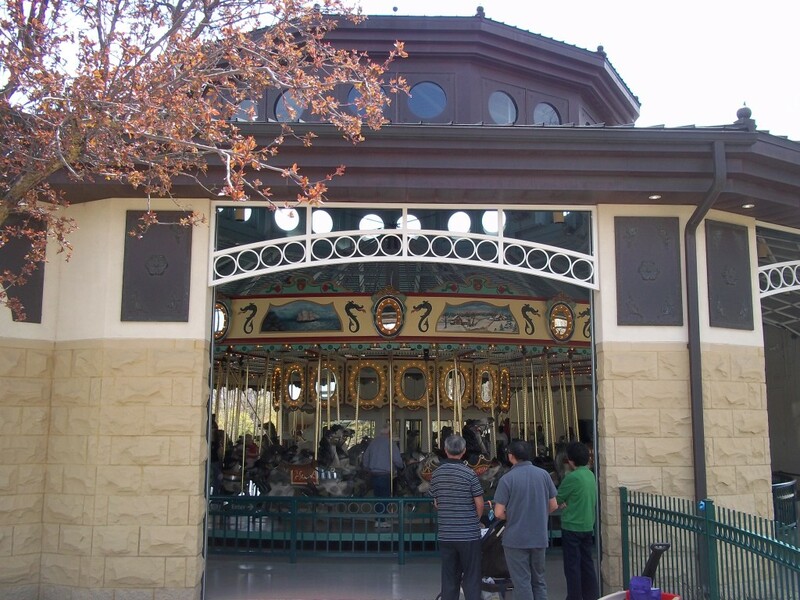 The original carousel was built in 1914 in Philadelphia, PA by the Philadelphia Toboggan Company mainly by German immigrant workers. It featured 68 horses and two chariots, all hand-carved and extremely detailed. Purchased at the time for $8500, it was shipped to Minnesota, where it was put into immediate use at the Minnesota State Fairgrounds in St Paul, where it sat for decades. The carousel changed ownership several times over the the course of its history, where it was a cherished part of the State Fair ambiance. It did its job well up until 1988 when it was revealed that the privately-owned carousel was up for auction. It is believed that most people just assumed the state fair owned it and it would be there forever. Regardless, the iconic amusement park ride was already in the process of being dismantled and shipped off, until local carousel enthusiasts formed a non-profit group called “Our Fair Carousel,” to save the landmark. One major benefactor, Gerard L. Cafesjian, threw down $600,000 toward its restoration. After restoration and refurbishment of the carousel, a new location was found in downtown St Paul, in an enclosed park on the top level of a retail and office building. This didn’t last long, as the park was being cleared for more office space. It was then decided that the Como Park Zoo in St Paul would be its next home. A pavilion was constructed (with more funding from Cafesjian) to house the carousel from the elements, as Minnesota winters can get pretty brutal. 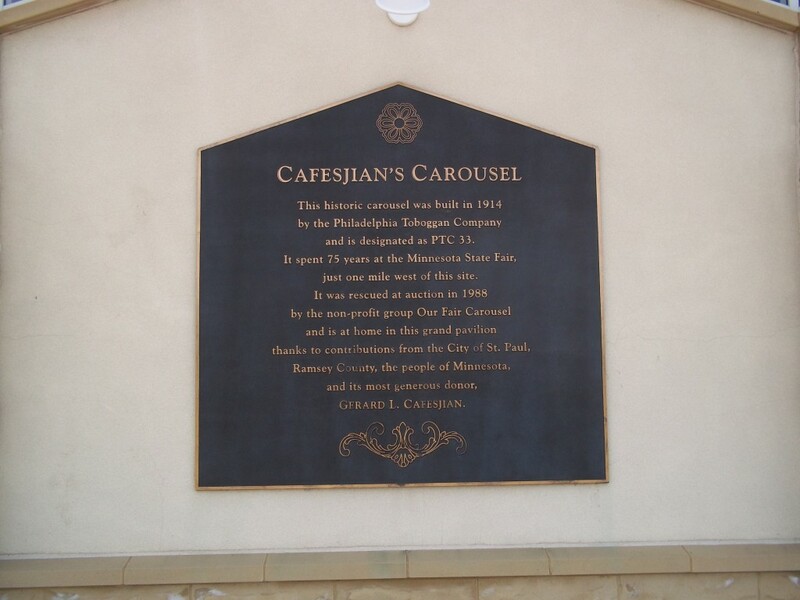 It was dedicated in 2000, and given a new name: Cafesjian’s Carousel. It also features a Wurlitzer band organ, purchased in 1992, to replace the original that was lost in a fire in the 30’s. 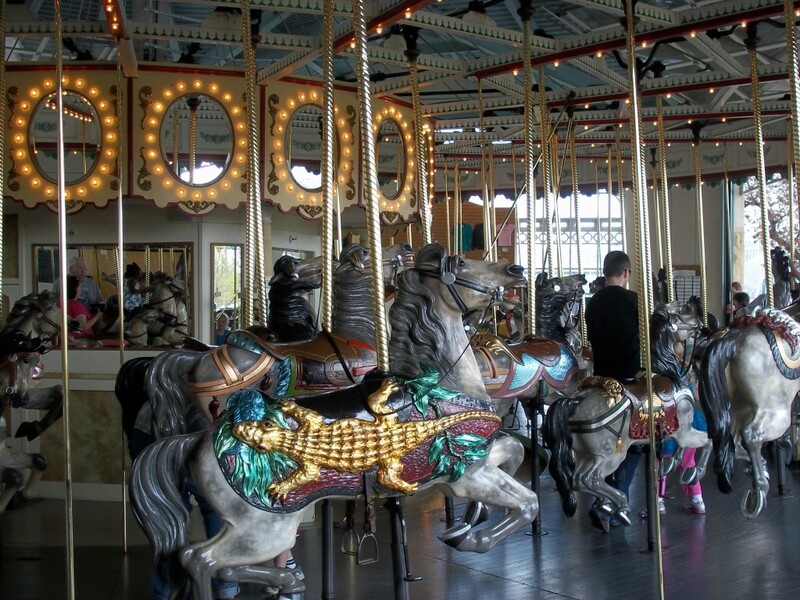 The Carousel is right at home at Como Park and continues to operate year after year in the warmer months. Rides cost $2/person. Inside the pavilion you can read about the detailed history of the landmark and info on how you can “adopt a pony,” and help set aside funding for maintenance and future restoration. While in the area: Como Park has a pretty good golf course on the premises, or explore the zoo and botanical gardens. 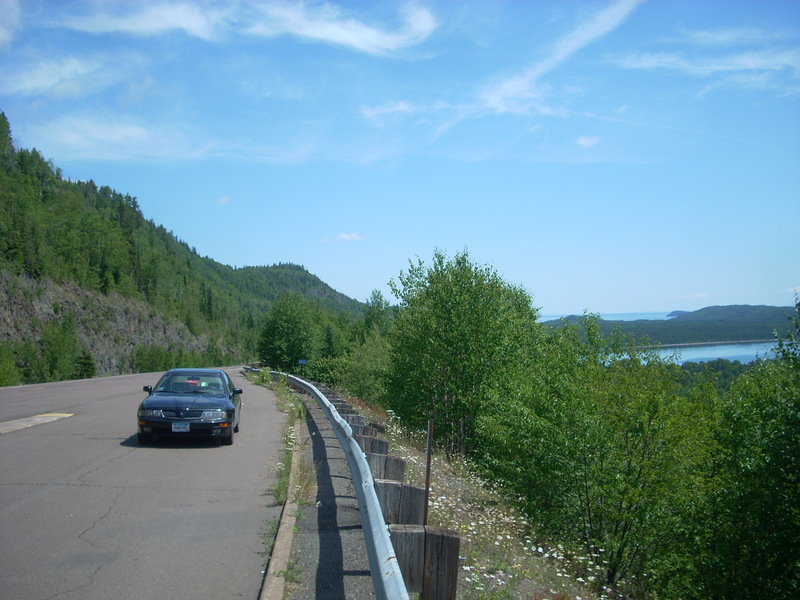 This entry was posted in Highway Highlights and tagged Carousel, Como Zoo, MN, St Paul by Seth5544. Bookmark the permalink. Been on this Carousel and it is a good one. Also, some very old “ponies”, maybe some originals from the carousel, are there for viewing in display cases around the carousel. Very historic! Hi. We are celebrating the carousel’s 100th birthday this season (2104). Big birthday party Saturday, August 9, and smaller events all summer, listed at ourfaircarousel.org and on the Cafesjian’s Carousel page on Facebook. It’s been 25 years since my husband and I formed Our Fair Carousel and began the process of saving and restoring the carousel, and it’s wonderful to have it at Como Park now. Fun to find your blog here, too! Thanks. That’s crazy it’s been around 100 years. What a treasure. Thanks for checking out the site!